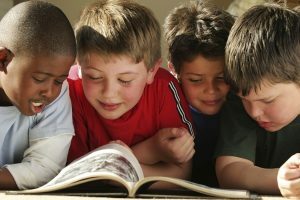 Beyond Guided Reading: Bringing a Successful Approach to Reading Comprehension into Your Classroom! Grades 2 – 6. Increase your students’ reading comprehension ability significantly using the Quality Comprehension Model, a practical and easy-to-implement approach to reading instruction that maximizes teacher effectiveness and targets instruction to individual learner needs. • Explore ways to tailor best-practices to meet their unique literacy needs. • Discover methods to boost student comprehension – no matter what type of reading materials are used. • Learn creative approaches to scaffold struggling readers. • Integrate methods to challenge proficient readers. • Investigate ways to support the reading/writing connection. This informative workshop will provide classroom teachers, reading specialists, teacher education students, and others who wish to improve comprehension for intermediate-level learners with numerous tips, tools, and techniques to integrate a successful instructional approach into their classroom. Make & Share Sessions: In these hands-on sessions, Teachers are directed in creating their own Read-Along Guides that align with their instruction, their instructional materials, and their learning objectives. Guidance in matching appropriate strategies with any type of classroom reading materials is provided (basal readers, leveled books, trade books, anthologies, and more). Read-Along Guide templates are also provided electronically.